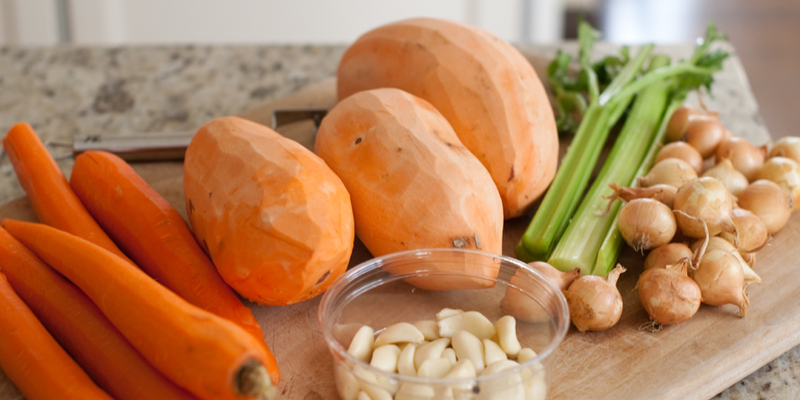 Peeling fruit and vegetable is easy to do with the serrated peeler. With an ergonomic and sturdy handle made form ABS resin, peeling carrots, potatoes turnips, and more for preparing salads, stir-fry's, chips etc. becomes child's play. The stainless steel peeler blades are well angled, removing even the toughest of skin form fruits and vegetables without wasting your produce. This Y shaped swivel peeler quickly peels produce with a simple flick of the wrist. It has a built in digger for removing blemishes on produce. Due to the symmetrical design, both left-handed and right-handed people can use it. An essential tool for any kitchen. 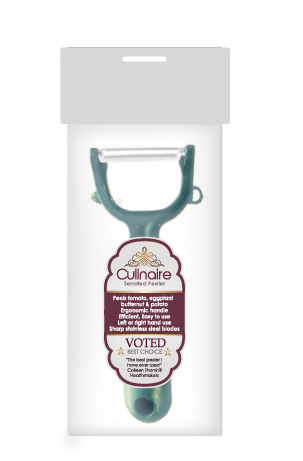 Why the Culinaire Serrated Peeler? I found it excellent to produce slices to replace julienne strips or vegetable pasta when I am not using the SpyraGyra spiral slicer.